The 2019 Eastern CMP Games & CMP Cup Matches are scheduled for April 26 through May 5, 2019. This is one of the biggest shooting matches on the East Coast, held at the Camp Butner Range in North Carolina. The CMP Games include Small Arms Firing School (SAFS), Garand/Springfield/Vintage/Modern Military Matches, Carbine Match, Rimfire Sporter match, and Vintage Sniper Team Match. There are also several pistol matches. Following the CMP Games Matches will be the CMP Cup Matches: 4-Man Team Match, CMP 800 Aggregate Matches, and EIC Service Rifle Match. There will also be a GSM New Shooter Clinic, M1 Maintenance Clinic, and Team CMP High Power Clinic. The CMP will also sell rifles and ammunition at the event. All matches on the High Power rifle range will be conducted using Kongsberg Electronic Targets (KTS). The KTS system registers each shot and relays the location and score value to a monitor beside each shooter on the firing line. The CMP Eastern Games have been very popular, thanks in no small part to the mobile electronic target system. Recent Eastern Games have drawn over 350 competitors. The Kongsberg electronic targets allowed the CMP to run relays more efficiently, and the targets eliminate the need for competitors to do pit duty. GSM Matches, which typically run four relays each day, saw days with a total of nine and 10 relays during its scheduled times, while the Vintage Sniper and other matches finished in record time. Throughout the CMP Games, competitors will use the CMP’s mobile electronic high power target system. The Kongsberg targets contain internal microphones that locate shot position. The scores are instantly calculated by computer and then wirelessly transmitted to portable, tablet monitors on each firing point. Share the post "CMP Eastern Games and Cup Matches April 26 – May 5, 2019"
SFC Lance Dement as featured in CMP’s First Shot Online. The U.S. Army Marksmanship Unit (USAMU) has published a great series of reloading “how-to” articles on its Facebook Page. This post covers key factors to consider when loading ammunition for Match Rifles and Service Rifles, with a particular focus on self-loading “gas guns”. Visit the USAMU Facebook Page each Wednesday for other, helpful “Handloading Hump-Day” tips. We offer some “cardinal rules” to help new gas-gun handloaders with safety and efficiency. These address both Match Rifle and Service Rifle versions of the AR15, M1 Garand, M1A, and M110. However, they can also improve safe reloading for many other auto-loaders such as M1 Carbines, FALs, SIGs, etc. The author distilled these principles many years ago to help focus on the essential aspects of these rifles. Gas-guns require a relatively loose fit between ammunition and chamber (vs. bolt actions) for safe, smooth operation. Many techniques, such as neck sizing and keeping cartridge headspace quite tight, are popular in the extreme bolt gun accuracy realm. However, they are of little value with Service Rifles, and some could even be hazardous. Before adopting a specialized technique, seriously consider whether it is appropriate and beneficial in a gas-gun. Example: If choosing a brand of great, but ultra-sensitive match primers offers possibly better accuracy at the risk of slam-fires in your design of rifle, don’t do it! You are issued exactly two eyes and ten fingers (best-case scenario). Risking them trying to squeeze 0.25 MOA better accuracy out of an M1A, etc. simply isn’t worth it. This has been addressed here before, but bears repeating for newcomers. If you are struggling to break out of the Marksman Class, or using a CMP M1 “As-Issued,” then laboriously turning the necks of your 600-yard brass is a waste of time. Your scores will improve much faster by practicing or dry-firing. On the other hand, if the reigning champions anxiously check your scores each time you fire an event, a little neck-turning might not be so far-fetched. Verifying Load Improvements — Accuracy hand-loading involves a wide variety of techniques, ranging from basic to rather precise. Carefully select those which offer a good return on investment for your time and labor. In doubt? Do a classic pilot study. Prepare ammo for at least three or four ten-shot groups with your new technique, vs. the same with your standard ammo. Then, pick a calm day and test the ammo as carefully as possible at its full distance (e.g. 200, 300, or 600 yards) to verify a significant improvement. A little testing can save much labor! Serious Service Rifle shooters generally think of ammunition in terms of thousands of rounds, not “boxes”, or even “hundreds”. Analyze, and WRITE DOWN each step in your reloading process. Count the number of times each case is handled. Then, see if any operations can be dropped or changed without reducing safety or accuracy. Eliminating just two operations saves 2000 steps per 1000 rounds loaded. Conversely, carefully consider any measurable benefits before adding a step to your routine. For example, instead of marking your 300-yard rounds individually to differentiate them from your 200-yard ammo, would a simple change in primers work? If accuracy is maintained, using brass-colored primers for 200 and silver for 300 provides an indelible indicator and eliminates a step! Similarly, rather than spending hours selecting GI surplus brass for weight and neck uniformity, consider splurging on some known, high-quality imported match brass for your 600-yard loads. Results should be excellent, time is saved, and given limited shooting at 600 yards, brass life should be long. This seems simple and even intuitive. However, many slam-fires (which were much more common when M1s and M1As were the standard) are due, at least in part, to “high” primers. Primers should be seated below flush with the case head. The USAMU has addressed this at length in a previous column, but each round should be checked for properly-seated primers before they are packaged for use. Share the post "Hand-Loading for Semi-Auto Service Rifles — Six Key Rules"
You may not be aware, but the Civilian Marksmanship Program runs a reliable, reasonably-priced maintenance/repair facility for USGI-issue rifles. Since October 2013, the CMP Custom Shop (Anniston, AL) has provided gunsmithing services for a wide range of U.S. Military rifles, specifically those issued in early eras. As well as repairs and troubleshooting, the CMP Custom Shop can upgrade, accurize, customize, and refinish the types of rifles the CMP sells. CMP will work on the M1 Garand, M1 Carbine, 1903 and 1903A3 Springfield, the 1917 Enfield and the Krag. Other rifles like the Remington 40X, Mossberg 44, and H&R Model 12 can also be serviced. CMP will NOT work on shotguns, pistols, revolvers, M14/M1A, AR15-style rifles or other commercially-produced modern rifles. For a list of services (with prices) visit the CMP Custom Shop webpage. NOTE: Before you can send a rifle to the CMP Custom Shop you must be a customer on file in the CMP system. Customers must meet the same eligibility requirements as for CMP rifle purchases. Once qualified, you can purchase a rifle from the CMP and have the CMP Custom Shop make modifications to it prior to shipping. The CMP Custom Shop can work on rifles that may have been purchased elsewhere as long as they were made by a USGI contractor. Some examples include: Springfield Armory (not Springfield Inc.), Harrington & Richardson, Winchester, International Harvester, Remington, Rock Island, Eddystone, Inland, Underwood, Rock-Ola, Quality Hardware, National Postal meter, Standard Products, IBM, Irwin-Pederson and Saginaw. NOTE: There are many NON-USGI copies of the M1 Garand, 1903 Springfield and especially the M1 Carbine that CMP will be unable to work on. Share the post "CMP Custom Shop Can Repair and Upgrade Military Rifles"
Garand matches are among the most popular and well-attended of the CMP competition disciplines. When obtained directly from the CMP, Garands are fun to shoot and affordable. However, with these classic battle rifles, you need to ensure that the headspace is set properly to ensure safe function and good brass life. In the archives of The FIRST SHOT, the CMP’s online magazine, CMP Armorer John McLean has written an excellent article entitled: “Everything You Ever Wanted to Know about Checking M1 Garand Head Space.” We recommend all Garand shooters read the article. CLICK HERE to read COMPLETE ARTICLE…. Share the post "CMP Armorer Explains Garand Headspacing Procedures"
This Friday, July 17th, the CMP hosts the Vintage Sniper Rifle Match at Camp Perry. 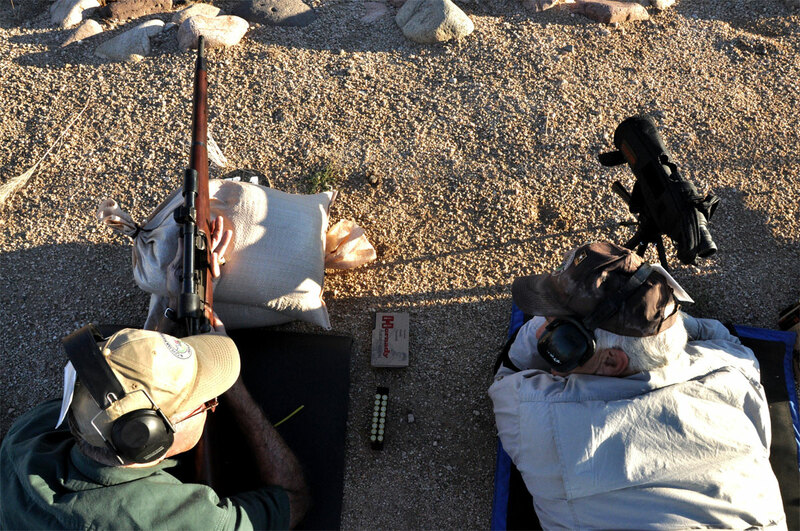 One of the most popular vintage rifle matches held each summer at Perry, this is a two-man team competition using scoped rifles of WWI and WWII Vintage. Many competitors use some version of the M1903 Springfield, but you’ll also see scoped M1 Garands, K31s, Mausers, and even a Lee-Enfield or two. The Vintage Sniper Match was the brainchild of Hornady’s Dave Emary. The competition was inspired by his father, a World War II scout sniper, who carried a rifle similar to the 1903A4 rifle builds that can be found today on the Camp Perry firing line. Bob Schanen worked alongside Dave and the CMP staff in establishing the various competition rules prior to the first official Vintage Sniper Match in 2011. The match developers made a point to offer some level of flexibility in rifle configuration, allowing specific types of non-issue optics and rifle rebuilds. This helped make the match more inclusive. Bob Shanen has two vintage sniper competition rifles. Both builds are based off of the USMC Model 1941 sniper rifle, a design similar to the M1903A1 National Match rifle. Bob’s rifles both carry 8x Lyman Junior Target Spotter scopes with a thin crosshair reticle. Bob attributes a large part of his rifle’s accuracy to the Criterion M1903 match-grade barrels installed on each rifle by Rick Humphreys, a Milwaukee area gunsmith. These tack-driving barrels are capable of half-MOA accuracy. The hallowed grounds of Camp Perry have hosted some of the nation’s finest shooters each summer for more than a century. Some of the world’s greatest marksmen have accomplished remarkable feats on the ranges of this lakeside military outpost. Located on the coast of Lake Erie, Camp Perry is positioned just outside of the scenic town of Port Clinton, Ohio. It is our firm belief that every shooter should make the pilgrimage to the Camp Perry at least once in their lifetime. If not participating in an event, visitors should at least make an attempt to meet the competitors, witness the wide selection of firearms used by participants, and pay a visit to the various vendors on base. Photos from Garand Thumb Blog and NRA Blog. Share the post "Vintage Sniper Rifle Match July 17th at Camp Perry"
Tricked-out match guns are fun but, if you want to prove that you’ve got an eagle eye and steady hands, a true test of skill is the Civilian Marksmanship Program’s As-Issued Four Gun Aggregate. The Four Gun Aggregate encompasses a series of CMP John C. Garand 30-shot matches (200-yard As-Issued Military Rifle Match Course A) on NRA SR targets at one of the CMP Regional Games or the Nationals officiated by the CMP. These are the only places you can earn the coveted neck-ribbon CMP achievement medals. You will need four as-issued rifles. The first is the M-1 Garand. (The course of fire is named after this rifle’s inventor.) This remarkable battle rifle will test your prowess at slow prone, rapid prone, and offhand. The match winner will put almost all bullets into a saucer. You do get to hear that classic “ping” when the en bloc clip ejects with this gun. It’s a good idea to write your firing point number on your hand for each match because you will move around over the course of the tournament. Next comes the hyper-accurate 1903 Springfield. You can use either the WW I M1903 or the later WW II M1903A3 model with peep sights. A Springfield will typically shoot groups half the size of a Garand with the same ammunition. Think potential in terms of tea cups instead of saucers. Share the post "Want a Challenge? Try the CMP’s Four Gun Aggregate"
The 9th Annual Eastern CMP Games and Creedmoor Cup Matches will be held at Camp Butner, North Carolina, May 1-10, 2015. The Eastern CMP Games run May 1-5, while the Creedmoor Cup Matches take place on May 6-10. All interested shooters are invited to participate in this popular event, which includes: Rimfire Sporter Match, M16 Match, M1 Garand Match, Springfield Match, M1-Carbine Match, Vintage Military Match, Modern Military Match, Vintage Sniper Match, Pistol Matches and more. New for 2015, the CMP will be hold a .22 Rimfire EIC Pistol Match. CMP Games Information Page | CMP Games Program 2015 | CMP Games Registration Form. The Vintage Sniper Match is a two-person team match, utilizing scoped rifles from the Korean War, World War II or earlier, upon sandbags. Teammates take turns as both shooter and spotter. Share the post "Get Ready for the Eastern CMP Games and Creedmoor Cup"
At the recent Western CMP Games and Creedmoor Cup Matches in Phoenix, I received a box of the all-new .30-06 Match-Grade ammunition from Dennis DeMille of Creedmoor Sports. My job was to test the ammo (at the Games) and write about it. This box was part of Creedmoor’s 3-million-round production run for the Civilian Marksmanship Program (CMP). CLICK HERE for Ammo Sales. Author Dennis Santiago (right) with Dennis Demille of Creedmoor Sports (left). The new .30-06 “Match-Grade” ammunition from Creedmoor is impressive. This ammo is made from top-quality components: brand new Lapua .30-06 brass and 167gr Lapua Scenar bullets. The ammo, optimized for 200-yard CMP Games tournaments, runs at 2720 fps. DeMille says the Standard Deviation (SD) is very tight with this ammo — comparable with precision hand loads. The low SD reflects great attention to detail in ammo assembly. Creedmoor’s industrial loader is run at half-speed to improve consistency. Charges are thrown precisely — I believe in two (2) half-charges. When you hold the ammunition up to the light, each round appears a perfect clone of each other round — something that cannot be said for some other factory ammo (even so-called “match ammo”). This is about a close as one is likely to get to a precision hand load. The good news is that Creedmoor plans to produce similar ammunition in other chamberings. The economics of the ammunition are equally intriguing. This ammo is being sold by the CMP for $1.30 per round. Think about that — new .30-06 Lapua brass sells for around $100.00 per hundred cases. So, you get to fire a precision match round for about 30 cents and have premier once-fired brass for future use. The price per rounds tells me that CMP isn’t making money on this — it is being sold at near cost to promote marksmanship. In offering this new .30-06 ammo at an affordable price, the CMP is making it possible for non-reloading competitors to have the same quality of ammunition as those who handload with premium components. This will be a major improvement for shooters of m1903s and M1 Garands. I think this ammo can be real equalizer for those who do not currently hand-load their own .30-06 ammunition. The CMP and Creedmoor Sports are to be commended for collaborating on this game-changing product introduction. When someone hands you a box of ammo with a challenge how can you not throw all your match plans out the door and play? I was planning to fire the CMP GSM match with my M-1 Garand the next day using 150gr SMK handloads but I said, “What the heck. Let’s go for it.” You get five sighters in a GSM match which is plenty to zero with new ammo. The ammo is optimized for shooting 200-yd CMP matches with rifles like my as-issued DCM M-1 Garand. I shoot the M-1 Garand matches with a rebuilt 5-digit receiver gun with a 1950s barrel refurbished at Anniston Armory that I got from the DCM back in the day when the postman delivered them. It shoots true and has garnered its share of Western Games trinkets over the years including a number of golds and one of those coveted M-1 EIC 4 points medals. It’s a good platform for the test. Sighters revealed the Creedmoor ammo shoots about two minutes higher impact versus my pet load. The tale of the tape said 96-2X slow prone, 93-1X rapid prone and 81-1X offhand totaling 270-4X. The DCM machine took home a bronze in 2014. This Creedmoor ammo is indeed amazingly consistent. The slow prone stage was a pure joy to shoot. This ammunition is “brutally honest”. It will reveal every little error you make be it defocusing on your front sight drenching in sweat under the Phoenix sun, not being fast enough to reset your NPA mid-string in your rapid as the big gun moves you around or just being jittery on your feet during the back half of your offhand. With this ammo I felt confident to trust that any error was mine after each shot. There was no wondering about the ammo. I knew its feedback was accurate. That is a huge thing to be that confident in one’s gun and ammunition. I never felt that confident with HXP or even my handloads. If anything, I now know that even my ammo for the M1 Garand and M1903A3 will benefit from the same careful case preparation and assembly as my tactical rifle or long range ammo. *At the Western CMP Games this Creedmoor .30-06 ammo was sold at a discounted price of $1.15 per round. That’s an example of the great deals one can get by attending CMP competitions. Share the post "CMP Offers High-Quality .30-06 Ammo from Creedmoor Sports"
Here’s a fun and entertaining video feature from our Daily Bulletin archives. In this USA vs. UK smackdown, “Gunny” Ermey pits his m1903 Springfield and M1 Garand against a British Lee-Enfield. Watch the video to see who comes out on top. In this entertaining video, retired Marine Gunnery Sergeant and popular TV host R. Lee Ermey, challenges Gary Archer, a British ex-pat, to a shoot-off with classic military rifles. In Round One, Ermey employs a Springfield m1903 while his opponent shoots the British 1907 Lee-Enfield No. 1, MK III. The quick-cycling bolt of the .303-caliber Enfield, and its larger internal magazine, give the Brit an advantage and Archer beats Ermey decisively. Share the post "’03 Springfield vs. Enfield vs. Garand Shoot-out with the “Gunny”"
Share the post "Vintage Military Rifle Fans Line Up for IHC Garands at CMP Stores"
Experienced rifle marksmanship instructors and shooters who would like to receive advanced training and be certified as “Master Instructors” to teach CMP-sanctioned Clinics are invited to apply to attend a CMP Master Instructor Training Workshop. Workshops are periodically held at CMP North (Camp Perry, OH) and CMP South (Anniston, AL) and in conjunction with the Eastern CMP Games and Creedmoor Cup Matches at Camp Butner, NC. CMP-sanctioned rifle clinics teach basic and intermediate rifle marksmanship skills to novice shooters. If you are interested in becoming a Master Instructor, you can apply to attend a two-day Master Instructor Training Workshop. Association with a shooting club or shooting range where the Master Instructor will have opportunities to teach Sanctioned Rifle Clinics. Experience teaching rifle marksmanship as a coach or instructor. Experience competing in John C. Garand, Springfield or Rimfire Sporter matches at national and club levels. Experience as a competitive service rifle shooter (desired, not required). Desire to teach marksmanship to new shooters and to help them get a good start. To register for the CMP GSM Master Instructor Training Workshop, complete the APPLICATION FORM. Please submit the completed form on-line, fax it to 419-635-2573, or mail it to: CMP, Attn: Shannon Hand, P. O. Box 576, Port Clinton, OH 43452. There is a $135.00 registration fee, which includes notebook of material, CD, sling, 10 M1 Clips, 20 dummy rounds, and a CMP Rifle Scorebook. Share the post "Teach Marksmanship as a CMP Master Instructor"
Christmas is just a few days away. If your’re looking for a good gift for a serious shooter, consider a book. A well-written book can serve as a valued resource for many years. Right now Creedmoor Sports is running a special Holiday Sale on many popular book titles. Here are 12 book items on sale, and you’ll find more discounted books at CreedmoorSports.com. 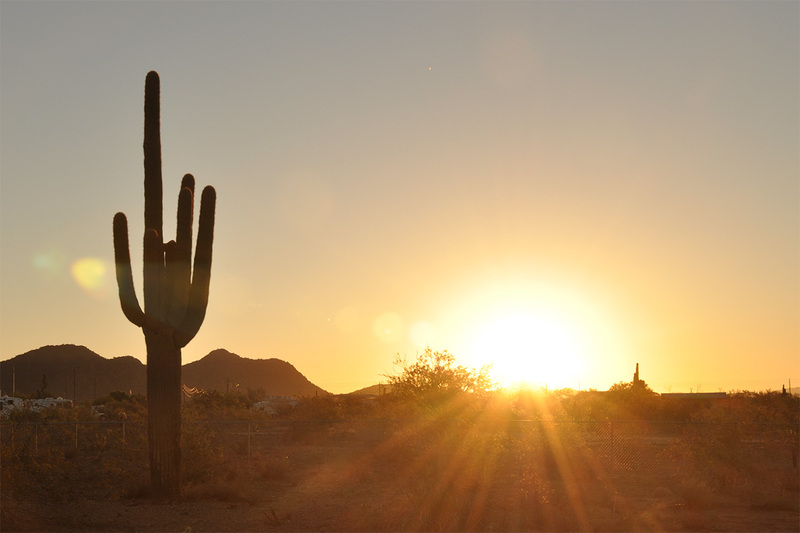 Share the post "Shooting Books on Sale at Creedmoor Sports"
Here’s a great Slide Show featuring images from the recent Western CMP Games at the Ben Avery Shooting Range outside Phoenix, Arizona. CLICK HERE for full match results. This video slide show features photos by Grant Guess and others. How many of your buddies do you recognize in the photos? 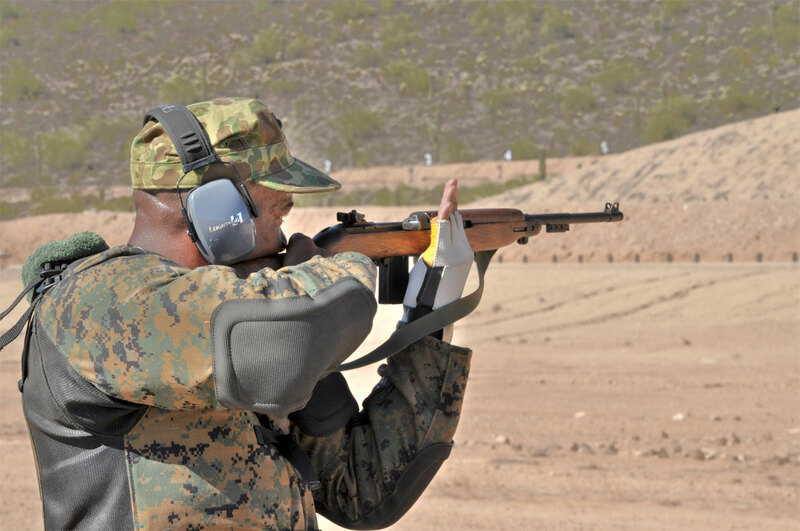 The Western CMP Games and Creedmoor Cup Matches were held October 11-20, 2013. As usual, the event was well-attended. The CMP Games featured the Small Arms Firing School, M16 Match, four Garand/Springfield/Vintage Military matches and the New Modern Military match. Other matches include a Carbine Match, a Rimfire Sporter Match, and the popular Vintage Sniper Match. The Creedmoor Cup events included a High Power Rifle Clinic, Creedmoor Cup (2400 point aggregate) Match, 4-Man Team Match, and Creedmoor EIC Match. 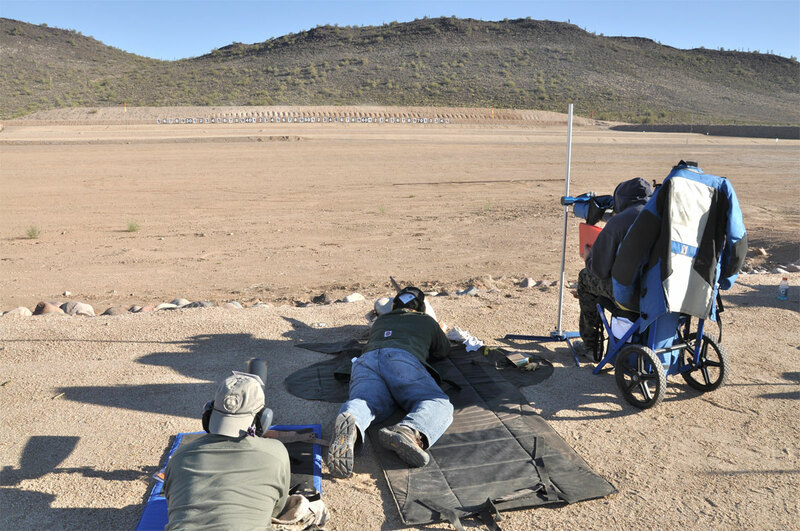 Share the post "2013 Western CMP Games Slide Show from Ben Avery"
The 10th Western CMP Games and Creedmoor Cup Matches will be held at the Ben Avery Shooting Facility in Phoenix, Arizona, on 11-20 October 2013. The Western CMP Games Matches run 11-15 October 2013. The Creedmoor Cup Matches take place on 16-20 October 2013. All interested shooters, (whether new, recreation-oriented shooters or experienced, national championship contenders) are invited to participate in these unique, national-level competitions. NOTE: Registration for the Creedmoor Cup matches must be done online via www.creedmoorsports.com. Share the post "Western CMP Games and Creedmoor Cup Matches in October"
The 2012 CMP Eastern Games and Creedmoor Cup took place May 5-13, 2012 at Camp Butner, NC. CMP events ran May 5 through May 8, followed by the Creedmoor Cup matches May 9-12. In the Creedmoor Cup segment, SGT Sherri Gallagher won the overall individual Championship (and Match Rifle Division), shooting 2386-138X out of a possible 2400. Just one point behind was fellow USAMU shooter SSG Brandon Green, with 2385-123X. Sherri also won the Creedmoor EIC match. Sherri proved, once again, that she’s hard to beat when she’s “on her game”. Top Service Rifle shooter was Army Reservist CPT Samuel Freeman (2375-106X), followed by SSG Tyrell Cooper (2370-94X). USAMU Team Praslick won the 4-person Team Match Rifle Championship, while USAMU Team Peters won the 4-person Team Service Rifle Championship. CLICK HERE for complete 2012 Eastern Creedmoor Cup Match Results. Creedmoor Sports’ General Manager Dennis DeMille was “Top Shot” at the CMP Games. Dennis won the Garand Match by six points, and Dennis also took the coveted Three-Gun Aggregate Trophy. Glendale Rutherford won the Springfield Match, while Sean Leighton won the Vintage Military Match. The M1 Carbine Match had a high turn-out, with 99 shooters. William Bowling (360-4X) took top honors by one point over William Aten (359-2X). In the popular Rimfire Sporter Match, Jacob Guay (594-41X) edged Ron Villanueva (594-39X) on X-Count to win the title. In another tightly contested match, the team of Douglas Armstrong and Kenneth Clowdis (390-13X) won the Vintage Sniper Team Match by one point over Paul Patel and Howard Burrill (389-16X) of team ‘Hardleg 1′. However, Paul Patel topped a huge field of 122 shooters to win the Individual Vintage Sniper Rifle Match, with a two-point margin over runner-up Doug Armstrong. CLICK HERE for complete CMP Rifle Match Results. You can see a large collection of Eastern Games photos at the CMP online photo archive. Photos Courtesy Civilian Marksmanship Program (CMP). 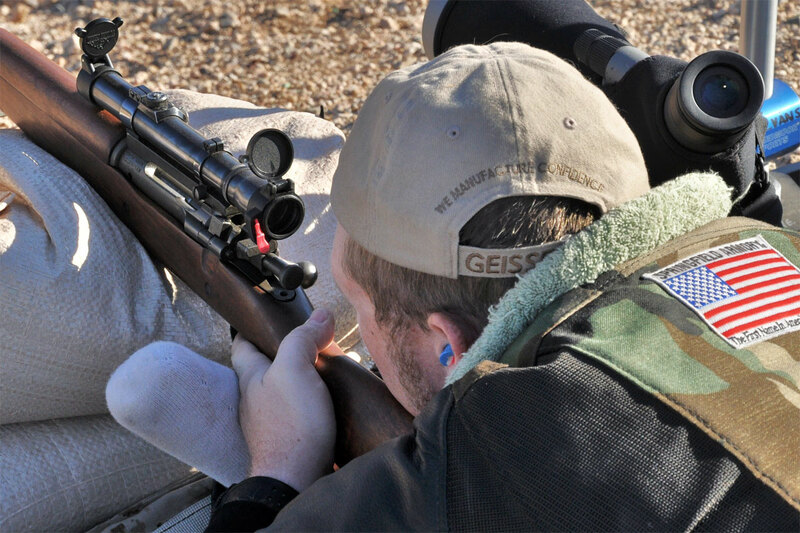 Share the post "Match Report: 2012 Eastern CMP Games and Creedmoor Cup"
The folks at the Civilian Marksmanship Program (CMP) say that Hatcher’s Book of the Garand is a must-read for M1 Garand shooters, historians, and collectors. Available in both paperback and hardback editions, this book was written by Maj. Gen. Julian Hatcher, Technical Editor for the American Rifleman magazine. The Book of the Garand is Hatcher’s first-hand account of the U.S. War Department’s search, testing, manufacturing, and distribution of the M1 Garand. If you purchase this book, you’ll be helping out the CMP. When ordering from the links above, which connect to the Canton Street Press website, CMP will receive 10% of book sale proceeds. Share the post "Sales of Hatcher’s Book of the Garand Help Support CMP"
Lothar Walther has some new “pre-fit” barrel offerings that should interest Garand and AR shooters. Garand Match competitors and vintage military rifle shooters will be pleased that LW is now offering “finished” Garand barrels, pre-chambered in your choice of six (6) different chamberings: .270 Win, 7×64, .308 Win,.30-06, 8x57IS and 9.3×62. These are all four-groove barrels with 24″ length. Twist rates along with land/groove diameters are listed on the Lothar Walther website. NOTE: Though these barrels come pre-chambered, you’ll still need a competent gunsmith for final fitting and headspacing. For AR15 shooters, Lothar Walther now offers a wide variety of pre-chambered AR15 barrels, set up for either .222 Rem and .223 Rem. With the .223 Rem barrels you have a choice of either standard .223 Rem OR .223 Wylde chambers. You can select either stainless steel or what LW calls “special rifle steel”. For most of these contours, other calibers/chamberings (.204 Ruger, .17 Rem., .30/.221 Fireball, 6.5 CSS, 6.8 SPC) are available on request. Extra charges may apply. Gunsmith required for attachment of barrel extension, drilling of gas port, and attachment of gas block, and (optional) front sight. Share the post "Lothar Walther Offers Finished Garand and AR15 Barrels"
Inspecting and grading thousands of surplus rifles is a huge task. Accordingly, the Civilian Marksmanship program seeks volunteer manpower to help with this process. 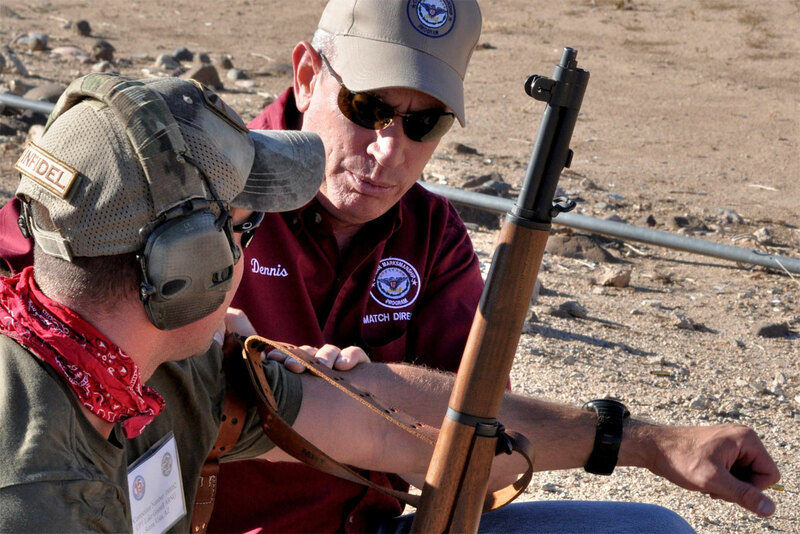 In an effort to give the Garand shooting and collecting communities an opportunity to view and participate in CMP Inspection and Repair processes and to reduce labor costs, the CMP established a volunteer program starting in July, 2010. Most volunteers work for 3-5 days. The CMP is looking for more volunteers. Assignments are based primarily on individual level of familiarity with the Garand, and the CMP’s needs at the time. Although the CMP tries to ensure that volunteers spend time working with Garands, some time may be spent in warehousing, packing, or shipping operations. Volunteers must be pre-approved, with work sessions scheduled in advance. No walk-ons. Volunteers should submit requests at least two weeks prior to planned visits (many volunteers schedule “shifts” months in advance). Volunteers absorb all costs for transportation, lodging and meals. Most volunteers stay 3-5 days per trip. Tools and gauges are available, but the CMP encourages volunteers to bring their own. To learn more about the CMP Volunteer program, or to schedule work sessions, contact Brian Vick at bvick [at] odcmp.com, or call 256-835-8455 x 1126. Share the post "CMP Seeks Volunteers for Gun Gauging and Grading Program"